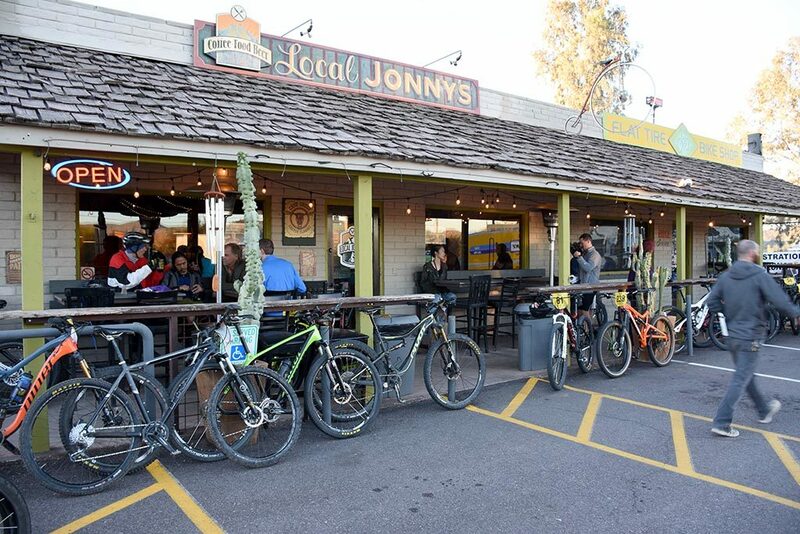 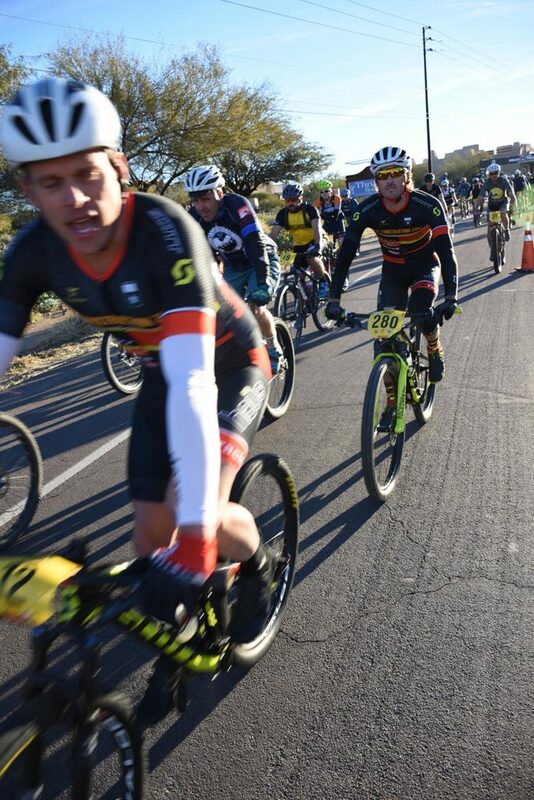 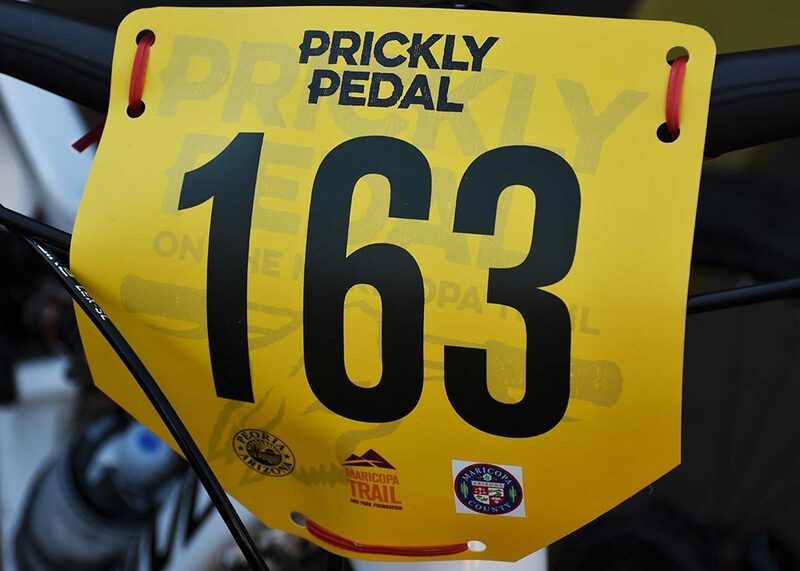 The 4th Annual Prickly Pedal Bike Race and Fun ride brought over 400 cyclists to Cave Creek for an early morning start. 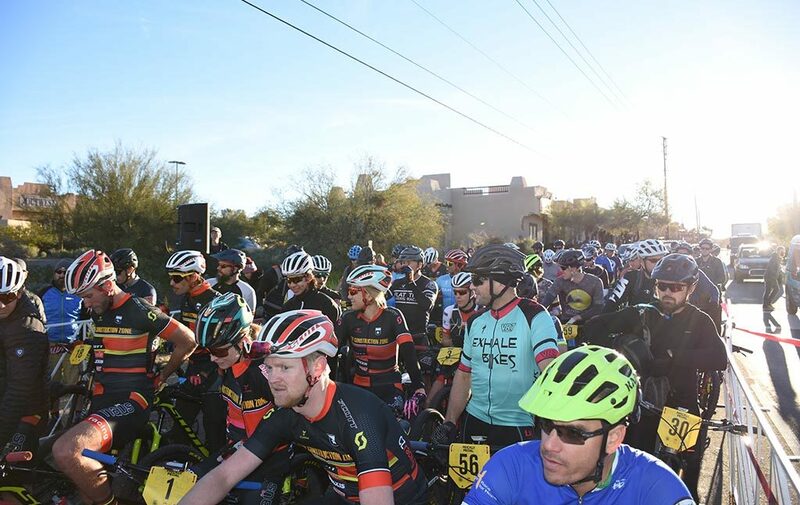 The 40 mile course ran from Cave Creek to Lake Pleasant. 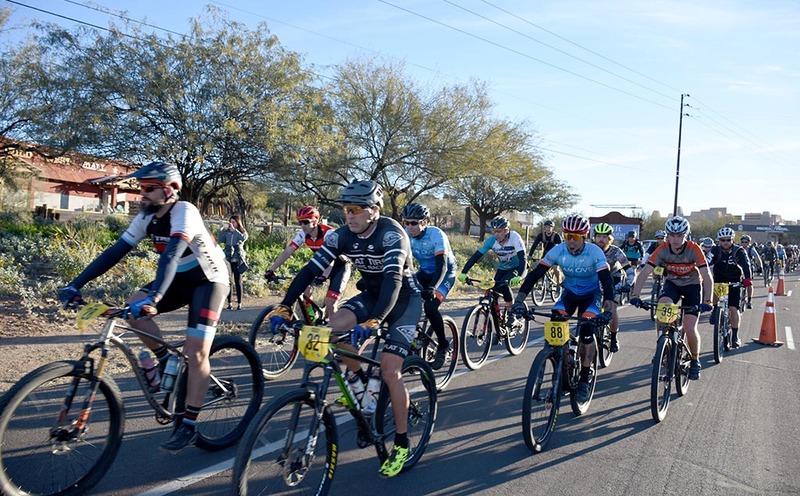 The race benefits the Maricopa Trail and Park Foundation, a nonprofit organization to support the newly constructed Maricopa Regional Trail System. 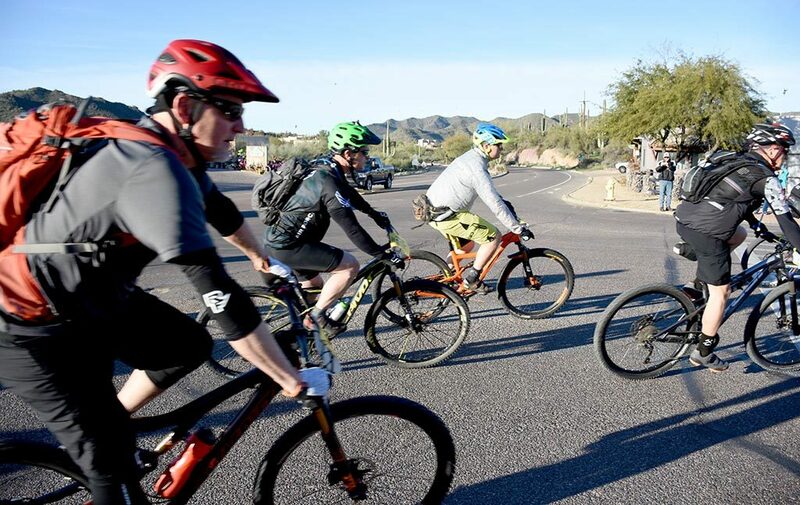 The 300 mile Maricopa Regional Trail rings Maricopa County linking many of the regional parks. 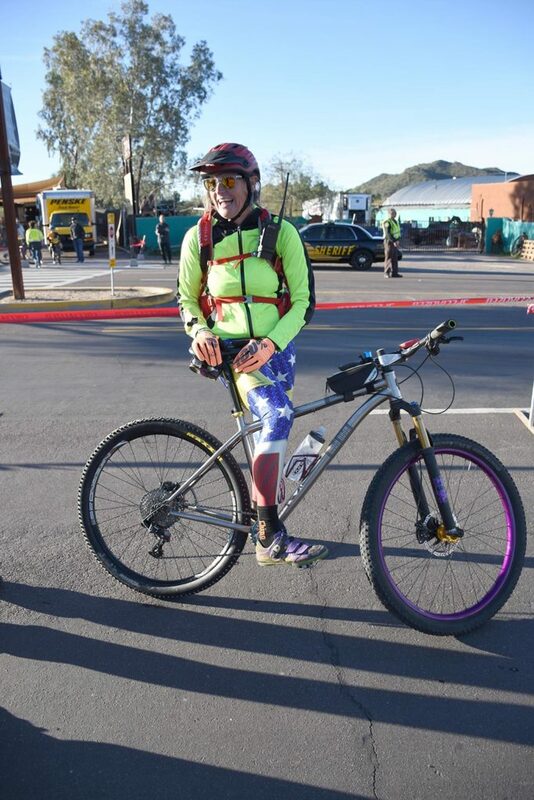 Top local male and female finishers were Travis Bloedel of Cave Creek, 2:52:12, and Kristen Philips of Cave Creek, 3:42:15. 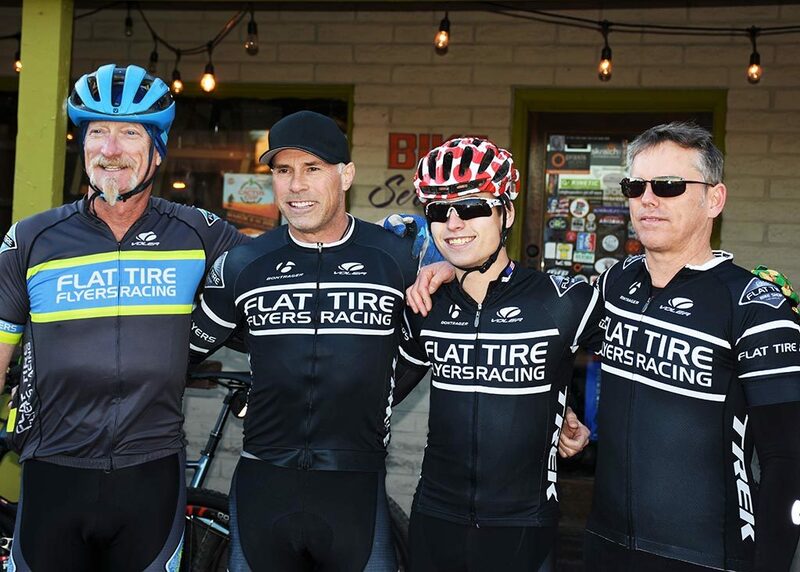 Cave Creek’s Flat Tire Bike Shop sported a team for the Prickly Pedal that included (L-R) Rick Snyder, Tom Leggett, Ryan Woodroffe, and Richard Woodroffe.